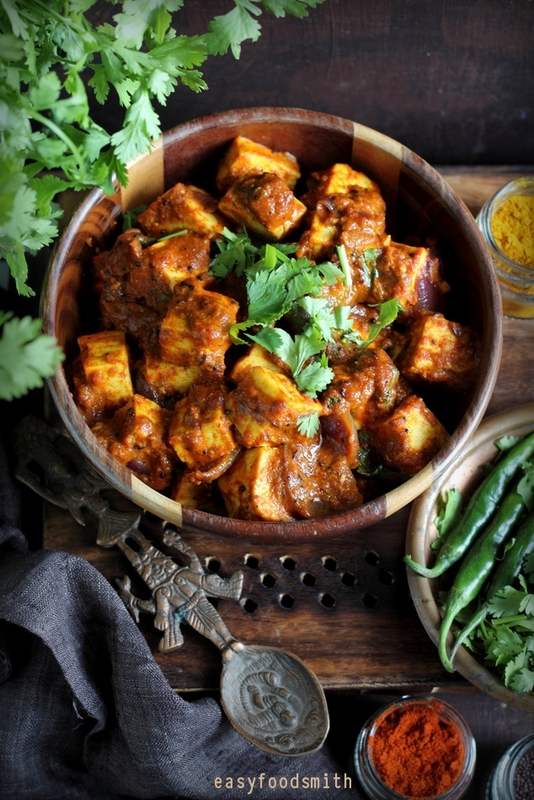 Paneer is to vegetarians what eggs are to non vegetarians – a quick, easy, simple ingredient that can be turned into so many variety of dishes. 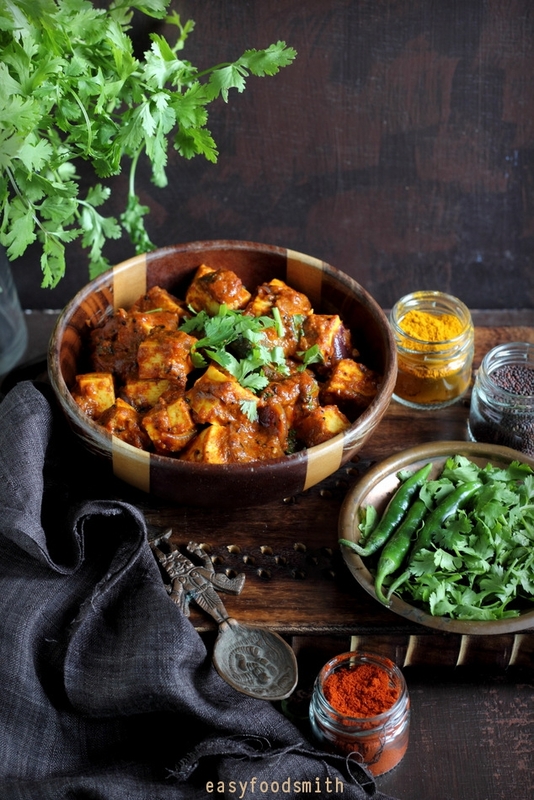 In north India, if you are expecting a vegetarian at your house for a meal, paneer will invariably find its way to the menu (even more so, if it happens to be a Punjabi household). 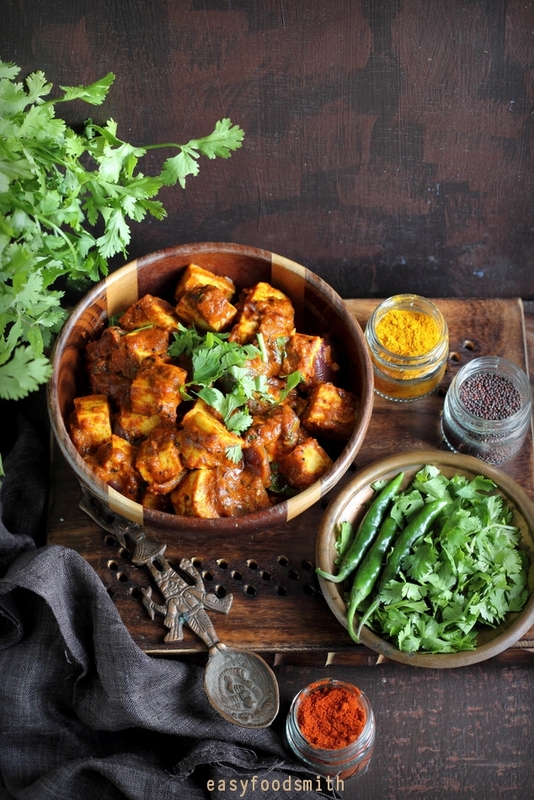 Paneer is a vegetarian delicacy of sorts. And its versatility makes it an easy ingredient to work with. 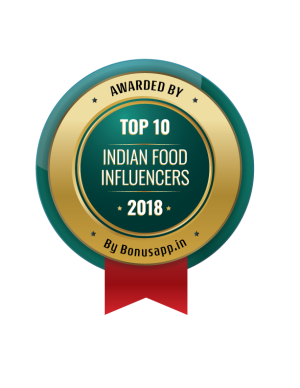 You can turn it into tikka or bhurjee or kofta curry and even a cheesecake – it will never fail you. 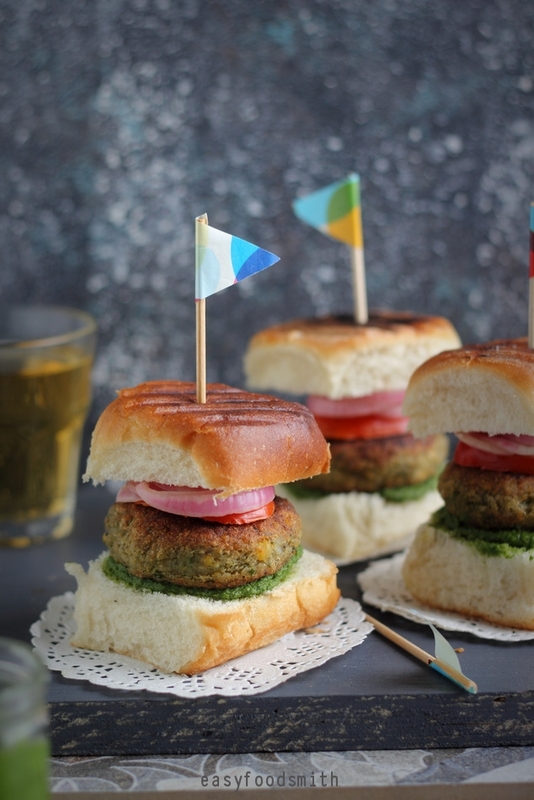 Use it with some spices and herbs to make filling for your jaffles or stuffed flatbread and there you have an excellent breakfast dish to be polished off with pickle and chai! 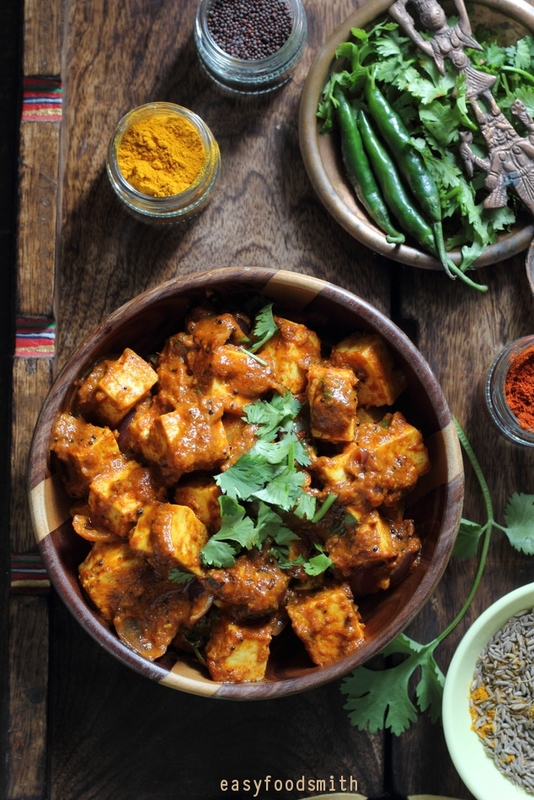 You can find a post I had done during my initial blogging years on how to make paneer at home. The process is simple and you can use it for so many recipes or have it on its own with some sprinkle of chaat masala. This curry takes no time to cook. So be ready with all ingredients. Wash, chop and blitz the tomato in a grinder. You should have at least 1/3 cup or more of tomato puree. Keep aside. Heat oil in a pan and add cumin and mustard seeds. As soon as they begin to crackle, add onions and fry them on medium heat till they turn translucent and just begin to turn golden. Now add grated garlic and fry till the garlic changes color to golden and becomes aromatic. Add the tomatoes and along with the spices and salt. Keep stirring the contents on medium heat till the masala begins to leave oil on the sides. Now add milk and lower the heat. Stir in some freshly coriander to the curry and garnish the rest before serving. Remove the contents in a serving bowl and serve with roti, paratha or naan. YUM! Note: I have added split whole green chilies coz I just wanted some grassy flavors of the chili added to the curry. Feel free to add them chopped in case you wish to add some more heat to the curry. Note: Also, you can tinker with the amount of ingredients you wish to use. That looks great! I love this one more than the creamy gravy. It is absolutely lip licking! I make lehsuni chicken a lot . Time to try with paneer too. Love garlic any day.